I have a GBD Tapestry that I am restoring, hopefully it will be done in the next day or so. I really like the Tapestry line; this makes my second one in different shapes. They have a fancy “chair leg” stem that while attractive are a pain to polish, especially if they are heavily oxidized, as this one was. You can see the “problem” areas in the photos. Unfortunately I forgot to take photos before beginning to remove the oxidation and calcification, which were quite thick. Remembering back to the first one I restored, I thought that sharing the method I use on this type of stem would be helpful to others. It’s not a fast process but it is pretty well foolproof because no machines are used, only “you power” and buffing compound on a piece of thin leather lace. I use 3/32″ lace but it also comes in 1/4″. I imagine other materials would work, too. I drag the lace across the bar of compound to load it after putting the stem in a hobby vise. (I use this table top vise with only my hand for holding the vise in place – it has rubbed coated jaws – so I don’t put too much stress on the stem and possibly break it.) 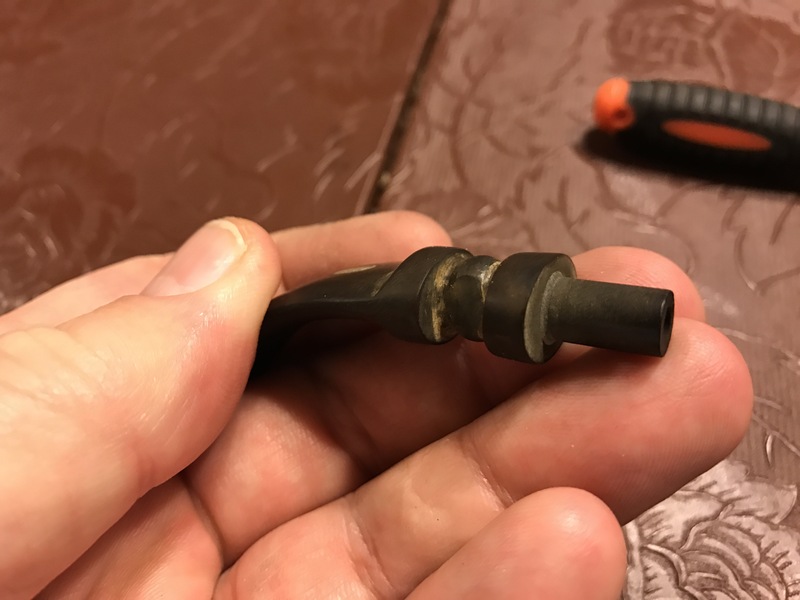 I take one end of the lace in each hand and rub it using a “sawing” motion (pull the lace toward me with my right hand, then my left, repeat) in the crevices, reloading the compound as needed, until the oxidation is gone. It does require some time and effort but there’s almost no chance of getting the stem out of shape, ruining the graceful lines, or breaking it. 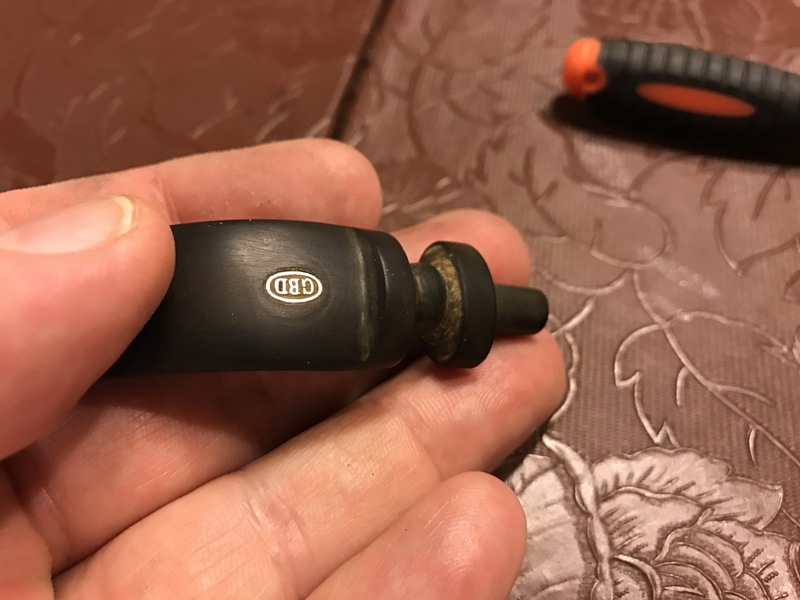 This entry was posted in Pipe Refurbishing Essays and tagged chair leg, fancy, Oxidation, polishing, restoration, stem on November 30, 2016 by Greg. Where was this tip when I had 30 Danish freehands to clean up?? Thanks for sharing, Greg! Great tip, Greg! I’m always learning something here. Thanks! This is certainly “the” place to learn from, always has been for me. I’m really thankful for Steve and the others for sharing and hosting treasury of knowledge. Great solution, Greg! I will try a variation on your theme on my next fancy stem! Thank you, Aaron. It takes a little effort but produces nice results IMHO.